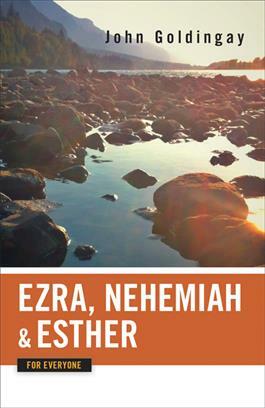 This latest volume in the Old Testament for Everyone series contains a look at the Second Temple period in Israel as well as the story of Queen Esther, who saved the Jewish people from extermination. In this popular and ambitious series, John Goldingay covers Scripture from Genesis to Malachi and addresses the texts in such a way that even the most challenging passages are explained simply. Perfect for daily devotions, Sunday school preparation, or brief visits with the Bible, the Old Testament for Everyone series is an excellent resource for the modern reader.